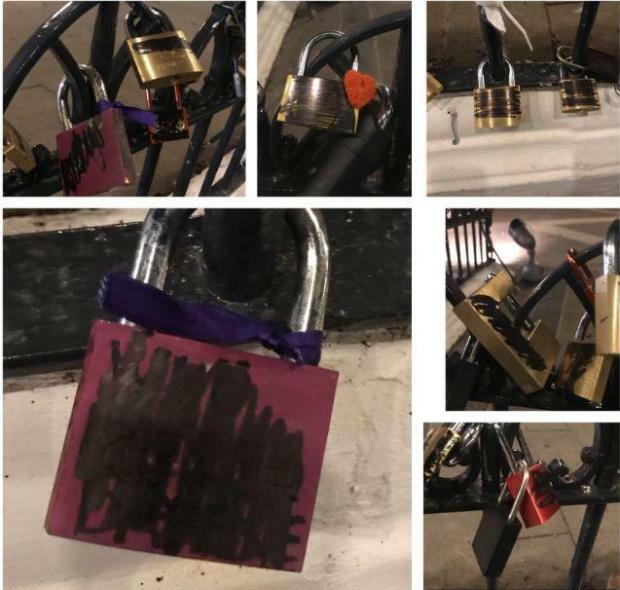 Padlocks attached to the fence surrounding Daphne’s memorial at the Great Siege Monument in Valletta have been defaced. The padlocks started being left by activists as candles, plants and photos left at the site are cleared away almost immediately. People, 18 months after #DaphneCaruanaGalizia’s murder, felt entitled if not compelled to redact & deface any reference to Daphne on lovelocks left in front of the memorial / shrine which is cleansed daily. Activists then started leaving their messages on padlocks attached to the fencing around the monument. The clearing of the memorial has even ended up in court, and has generated a number of aggressive outbursts.